One thing you can count on when bringing home a new puppy is the fact that he will nip and bite at your fingers during the first few days or weeks. This is perfectly normal and there is no reason to get alarmed that you may have purchased an aggressive dog. Important: If you’re looking for immediate, expert advice to [keyword id=’biting’]… click here and we’ll show you how to fix the problem today! 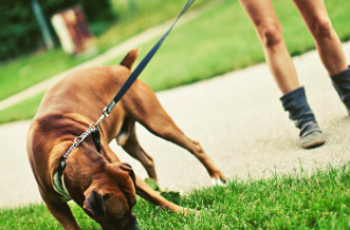 However, like any behavior you wish to change about your dog, you need to take a few steps so that he realizes that nipping is not something you as the “pack leader” want him to continue doing. So how do you change this natural biting behavior that a little puppy has? Well the first thing to do is determine his age. This is important because puppies under the age of about 15 weeks need to be handled a little differently when it comes to mouthing and nipping than puppies over the age of 15 weeks. 1. Start to show your puppy that you appreciate licking instead of nipping. When he changes his behavior and licks at your fingers or hands, be sure to praise him very lovingly. You can also encourage your puppy to lick more often by rubbing a little butter or coconut oil on your fingers. Let him know by soothing caresses that what he is doing is a good thing with each lick. 2. 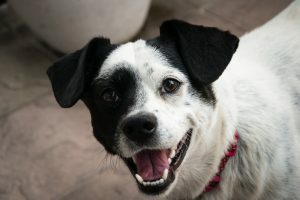 If your puppy is still biting or nipping at your fingers and he is just been fed and really doesn’t need anything in its mouth, set him aside with a nice bone for a little while. This is where a crate would come in handy. 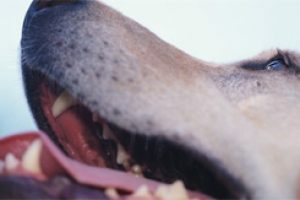 Place the dog in the crate for a short period of time so that he can divert his mouthing attention to his favorite bone. And it is very important not to yell at or scold your puppy along the way. You must create a positive learning environment. 3. 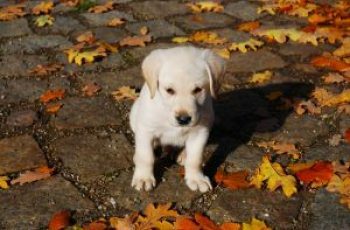 Whenever the puppy bites down hard on your fingers or hand, use a disciplinary tone of voice and give a command such as “No No” while looking sharply into his eyes. Hold this firm demeanor for a few moments and then immediately change your body language and go back to whatever it is you’re doing before, and with a soothing approach. Doing this procedure a few times is enough for your puppy to learn the command and to stop biting down hard when he is commanded.